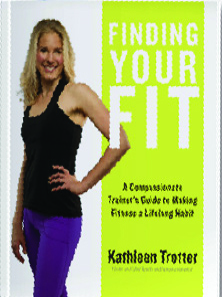 Kathleen Trotter is a fitness expert, media personality, personal trainer, writer, life coach, and overall health enthusiast. She is the author of Finding Your Fit. A Compassionate Trainer’s Guide to Making Fitness a Lifelong Habit. Kathleen’s passion is motivating others to “find their fit.” Kathleen does this through writing, regular TV and media appearances, working with clients (ranging from athletes of all ages to individuals living with Parkinson’s and osteoporosis), and speaking engagements. Kathleen started her work as a fitness writer at Chatelaine in 2010. Shortly after, she started blogging for The Huffington Post and filming and writing for The Globe and Mail. Her work at the Globe includes over 50 online fitness how-to videos, inclusion in the Globe’s online book on running, over 30 “Stealth” exercises, an “Ask the Trainer” column, a “Sweat Test” column, and a “Health Advisory” column. Kathleen has also published articles in magazines such as Canadian Running, Glow, Alive, Today's Parent, Healthy Directions, Impact Magazine, and Sharp, and for ParticipAction. Since 2016, Kathleen has made monthly appearances on Breakfast Television Montreal and Rogers Ottawa, and she is regularly asked to make TV and media appearances for outlets including CTV News, CHCH Morning Live Hamilton, the CBC, Global Montreal, ABC News 7, and Rogers London. Kathleen has been a guest on radio and podcasts including The John Oakley Show, Radio Canada , Steele and Drex , 40+ Fitness Podcast, KOGO, Naturally Savvy with Andrea Donsky and Lisa Davis, The Other F Word, and Wellness Force, and is a regular on Zommer Radio’s “The Tonic”. Currently, Kathleen works as an ambassador for Flaman Fitness. Past media partnerships have included Sears, Canada Beef, and Quesada. Kathleen’s new-found passion is motivational speaking. Kathleen’s speaking engagements have included a series of motivational lectures at the Toronto Public Library, guest lecturing at the University of Toronto and Concordia, lunch and learns for the University of Toronto, and corporate presentations including her recent Cisco Women of Influence keynote talk. Kathleen loves her job. Her mission is to inspire as many people as possible to adopt (in an intelligent way) a healthier lifestyle and to make healthier choices because they love themselves, not because they hate themselves. Kathleen does not believe in body shame. Kathleen does believe in goals and results. She does not believe in being “easy” on yourself or letting negative “brain propaganda” win. She does believe in self-compassion and holding yourself accountable. Kathleen does not believe in being active to “create a whole new you.” Kathleen does believe in being you, but working toward creating a “you” who has more healthy habits this month than last month. She believes in learning and growth, passion, gratitude, and actively finding pockets of joy. 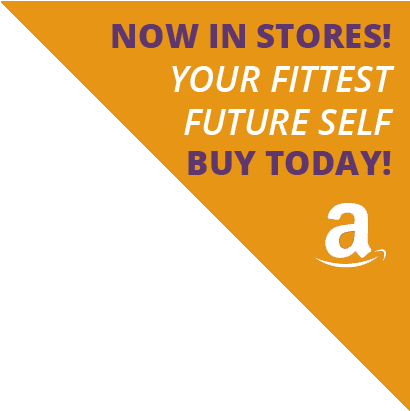 Most important, Kathleen believes in actively creating the version of yourself that you want to be, and that the key to health success is finding YOUR fit — hence the name of her first book Finding Your Fit. Kathleen’s recent highlights include being named one of Canada’s most influential fitness professionals, her Facebook page being voted fourth on Feedspot’s list of the “25 Best Fitness Blogs”, partnering with her friend and colleague Harry Scott on a series of YouTube videos called “She Said He Said Trainer Chats”, and her second book being slotted for release in January 2019. Kathleen holds an M.Sc. in Exercise Science from the University of Toronto and a nutrition diploma from the Canadian School of Natural Nutrition, and she is a C.H.E.K. Level 3 trainer, a Level 2 Fascial Stretch Therapist, and a certified Pilates Equipment Specialist. Kathleen is currently working through certification to become a life coach. Opened Boutique Training studio in 2015.